Dr. Andrew Gould is Board Certified in Ear, Nose and Throat with related Head and Neck Surgery and is approaching his thirteenth year in practice. After receiving his Doctor of Medicine degree from the University of South Carolina in 1995, Dr. Gould completed his five-year residency at the University of Louisville Division of Otolaryngology. 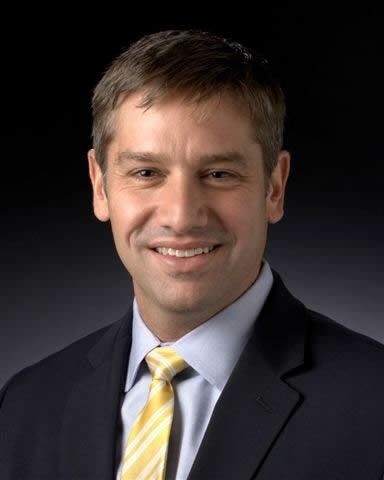 Dr. Gould has a passion for learning and research and is the current Director of Research at Advanced ENT and Allergy. By conducting more than 55 clinical trials, he has led in the development of new medications and techniques in sinus surgery, with hundreds of sinus surgeries performed for children and adults throughout his career. Dr. Gould’s work has been published in a number of medical journals including the highly respected Journal of Otolaryngology as provided by the American Academy of Otolaryngology and is currently the only physician in the region to treat sleep apnea by implanting a device (being studied nationally), as an alternative to>CPAP. He has received numerous awards and accolades including being ranked one of our region's top surgeons in endoscopic sinus surgery by Louisville magazine. Andrew has been married to Julie for 14 years and they have three young daughters, two of whom were adopted. Loving to be outdoors, he trains and participates in many local and regional triathlons but his first love is for children. He provides ear, nose and throat related missionary work for orphaned children in Ethiopia and founded, along with his wife, Naomi’s Fund, in remembrance of their second daughter. Naomi’s Fund raises money to help remove the financial stress and barriers that come with adoption. They are committed to helping families grow in love through the adoption of children in the United States, Ethiopia and China. Join Dr. Gould on Facebook! "Thank you Dr. Gould for all you do for my two daughters. We are very lucky have you and your office staff to care for them."